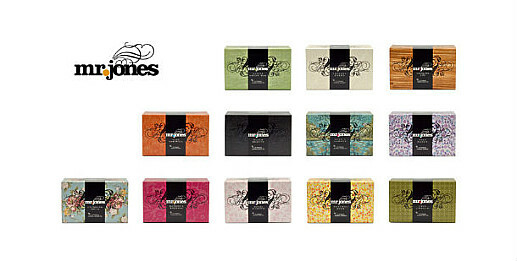 The assortment of Mr. Jones consists of twelve extraordinary tasty teas, of which most are organically grown and, where possible, have been purchased with the principles of fair trade. The ingredients used by Mr. Jones are -without exceptions- of the highest quality and the different kinds of tea originate from a single source. The taste and scent of the tea is maintained optimally, by packing every bag airtight. Mr. Jones tea also only contains natural ingrediënts, and no artificial flavoring or coloring has been added. Mr. Jones arose from the thought that a product is only really 'good' when it, besides high quality features, has been produced in a responsible way. Really tasty tea, with the environment in the back of our minds is the base thought of Mr. Jones. This thought is represented directly by eight of the teas. These have been organically grown and five of them are also purchased with the principles of fair trade.